The Lutron Clear Connect CCD-OCR2B-P wireless occupancy/vacancy sensor automatically turns lights on when a person enters a room and turns lights off when the room is empty. 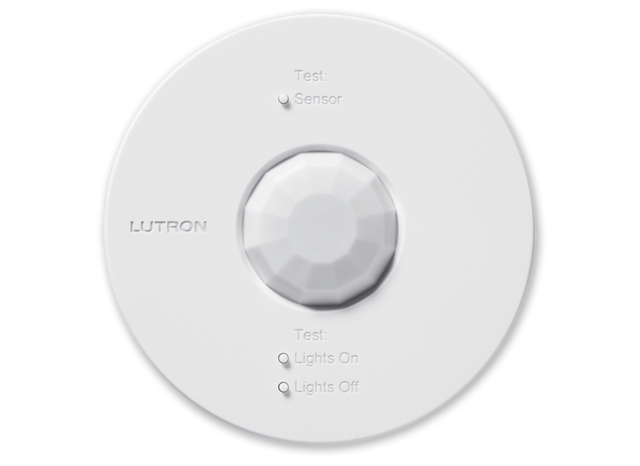 As a battery powered (5-10 year battery life) and wireless device, the occupancy/vacancy sensor can be added to a Clear Connect System and be installed in any room without the need for wiring. When integrated with AMX's Resource Management Suite®, power to electronic appliances such as a projector or video conferencing system can be turned on or off based on occupancy. Available in a white ceiling mount configuration.